I love a good plot twist and McEwan delivers. The twist lifted the book from 3 stars to 4. Otherwise, this book is no Atonement, or even a Saturday. Initially I thought the book was over-sexed and under-plotted. Our protagonist, Serena of MI5 is pathetic and is defined by the man whose bed she is currently spending time in. It evolves into a sort of po-mo spy thriller set in a very vivid 1970s Britain. I like historical fiction (as this is that, as well as spy novel and romance) that is set in not so historic times and London during the 70s energy crisis is definitely such a time. The story won me over with its accounts of what Serena, a literary spy, was reading, and what her beau is writing and, even though I knew it was coming, the twist evaded and delighted me. 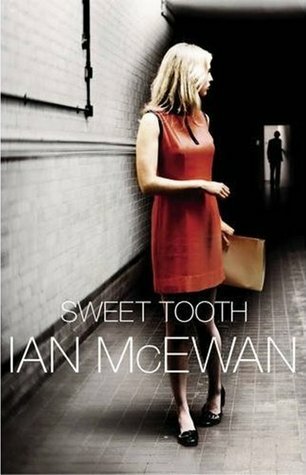 Sign into Goodreads to see if any of your friends have read Sweet Tooth.